Positioned as the place for architects and designers to find new and innovative surface solutions, materials and products, V4 Wood Flooring is returning to Surface Design Show this February. Held at London’s Business Design Centre from 6th – 8th February, the event showcases the newest and best surfaces that the design industry has to offer. For more than ten years Surface Design Show has been connecting architects, specifiers and designers with innovative solutions and we are delighted to be taking our innovative wood floor and wall solutions back to the show. A visit to our stand will uncover a whole menu of wood floor finishes, colours and textures, delivered in a comprehensive range of engineered and solid FSC and PEFC certified floors, which range in form from full length extra wide planks to engineered herringbone blocks. Alongside our established collections, two brand new wood floor ranges will be unveiled at the show. Home Collection – a collection of five new engineered wood floors that deliver modern oak tones for home and commercial markets. The floors are extremely versatile for use in any space to deliver cutting-edge tones at affordable prices. We also launch the Driftwood Collection. 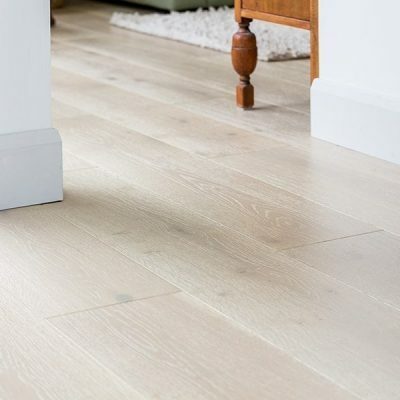 A new collection of contemporary oak floors that offer a choice of modern tones and finishes that range from rich textured character to soft muted surfaces. From our established collections you can view ranges including Deco – a collection of ultra-modern oak floor colours, Zigzag – engineered wood blocks for authentic herringbone parquet floor style and Panneau – decorative wood panels made from recycled woods which create striking feature walls and surfaces. We pride ourselves in offering contemporary, high quality products that work across the full spectrum of home and commercial interior design. 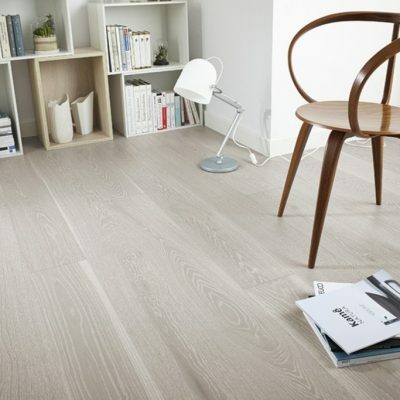 Whatever the type, size or interior style of a room, there’s a V4 floor that will enhance the space and let you bring nature inside with stunning results. Lessening the environmental impact of wood product production is a key priority for V4 Wood Flooring and all our products are manufactured in FSC and PEFC Certified factories where the wood is responsibly and ethically sourced from well managed forests. We are also delighted to announce that our new Driftwood collection has been selected to feature in ‘Surface Spotlight Live‘. Hand picked by Sally Angharad, Trend Expert, Sally has curated her top picks of new surfaces for 2018 and these will be on display and also showcased during her presentation, The latest material trends for transport and residential, which will be given on the main stage on Wednesday 7th February at 3.45pm.